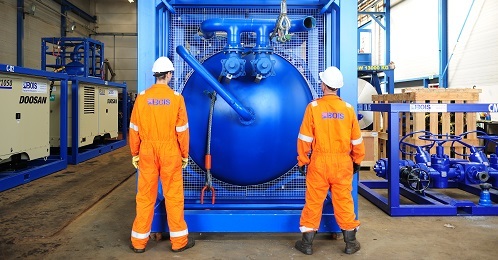 Bois team - Bois B.V.
Our customers can expect dedication and competence at all operational levels. The BOIS policy emphasises the equality of all roles in the company, whether equipment preparation and packaging, warehousing, cleaning and maintenance, certification, logistical coordination, commissioning, operational support, asset management, HSE management, financial management and general management. It is important to us that each individual employee of BOIS has his or her own responsibility and feels a part of the team’s goal, which is the customer’s success. This results in quality solutions which really matter. Please contact our offices in Holland, Singapore, Dubai and the US. We will be proud to support your operations.